Beginning in the 2020 season, Maryland-based Under Armour will become the Official Supplier of On-Field Uniforms for the MLB, ending Majestic’s 16 year exclusive rights. This deal adds onto Under Armour’s growing investment in being a Licensed MLB gear provider. 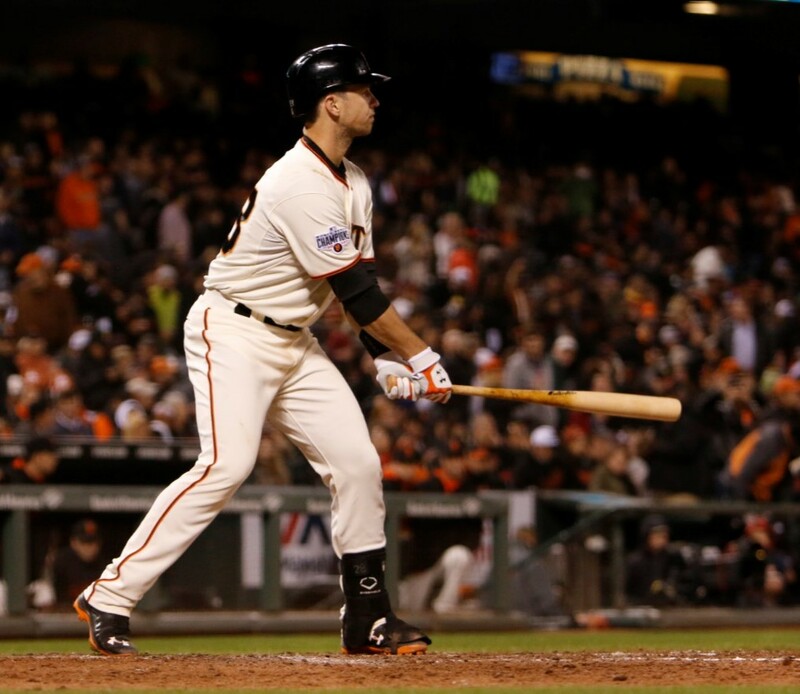 Since 2011, UA has been the Official Footwear Supplier of the MLB. A few years ago Under Armour also acquired a license to produce Official MLB Apparel for fans, such as t-shirts, sweatshirts, shorts, and sweatpants. In conjunction with their incredibly strong roster of athletes, Under Armour’s monopoly on baseball apparel and footwear seems poised to topple Nike from the top spot in a major sport. Under Armour’s foundation in MLB relies on their Official Footwear deal. Through this deal, all players have access to Under Armour footwear provided by the team. Though unglamorous, this strategy puts their brand on the feet of more athletes than individual contracts with many athletes. Consumers see a majority of players wearing a single brand, and conclude that the brand’s products must be comfortable and high quality. When Bryce Harper, Clayton Kershaw, and Francisco Lindor transcend our preconceptions of what baseball players can do, their appearances (including their gear) becomes cemented in our mind. For the 2016 season, Bryce Harper became the only National League player with a signature cleat. After years of player exclusive custom cleats from Under Armour, the two finally created a true signature model, the Harper One. Expect Under Armour to follow-up the Harper One with a Two and Three for the 2017 and 2018 season respectively. Based on the innovation that went into the Harper One, the Harper Two will be the premier and most cutting edge cleat from any company. 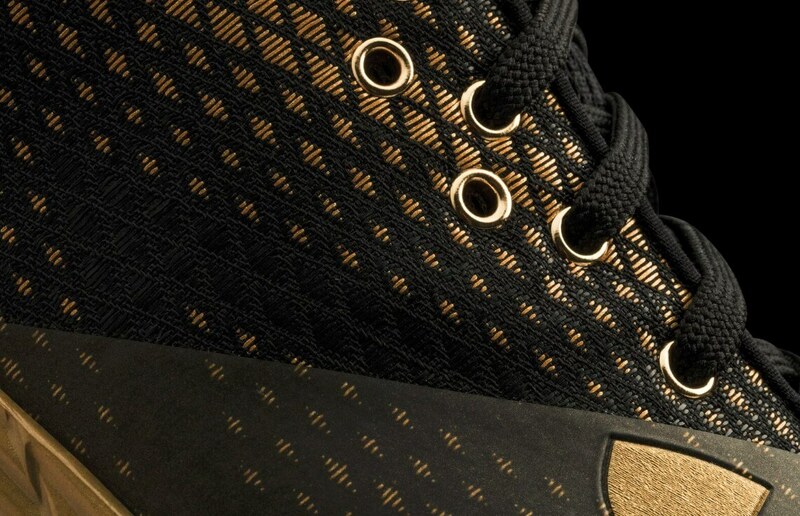 Prior to the Harper One, Under Armour had not used knit/woven uppers in the vein of Jordan’s Performance Woven on any shoe in any category. Now it can be found on the Charged Bandit II, and the evolution of this technology, Threadborne, composes half of the Curry 3. It is unprecedented for a company to install a new technology in a baseball cleat prior to any other shoe, which illustrates how important UA believes Harper and baseball are to its standing. Clayton Kershaw, Buster Posey, Francisco Lindor, Jake Arrieta, Eric Hosmer, Noah Syndergaard, Justin Verlander, Lorenzo Cain and many others supply the star power for UA alongside Bryce Harper. Four of the top ten pitchers in baseball, possibly top five, four MVPs, four World Series Champions, five Cy Young Awards, and 26 All-Star Game appearances combined. 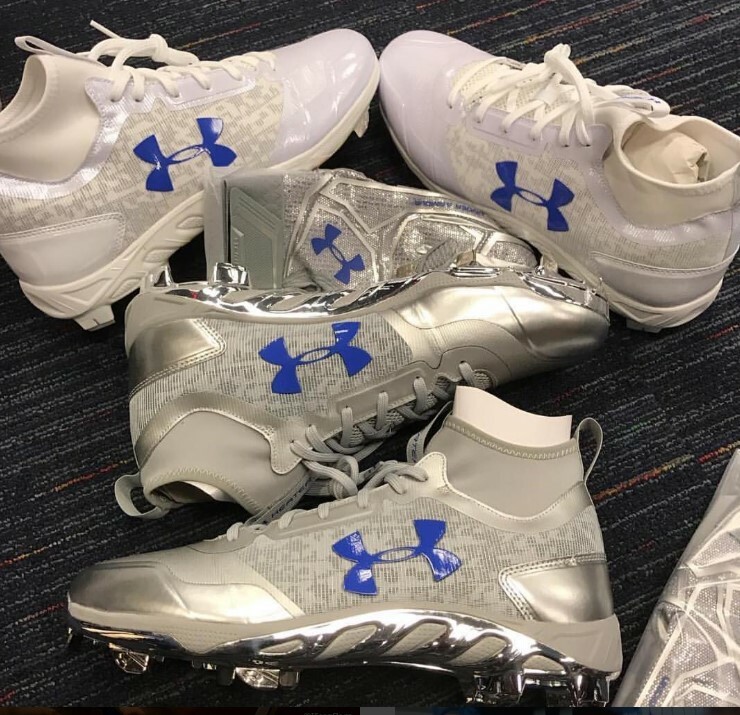 For these superstars, UA constantly pushes the envelope in attempts to innovate and push the boundaries of what a cleat should be. For the first time, in 2017 the entire line-up of metal spiked cleats will ditch leather for entirely fuse, mesh, and plastic synthetic leather uppers. Under Armour leads the pack in this effort to move on to more performance oriented materials. Many of Under Armour’s early innovations involved developing more comfortable and supportive cleat plates, such as the archaic ArmourGuide, radical Spine (which is still very popular), UA Fang spikes, and 4D foam insoles (still the best insole I’ve ever had in cleats 7 years later). ArmourGuide plate geometry heavily influences many of the plates on today’s models, including the Harper One. The Fang spikes have evolved into the Diamond Tips; a hybrid between molded and metal spikes. 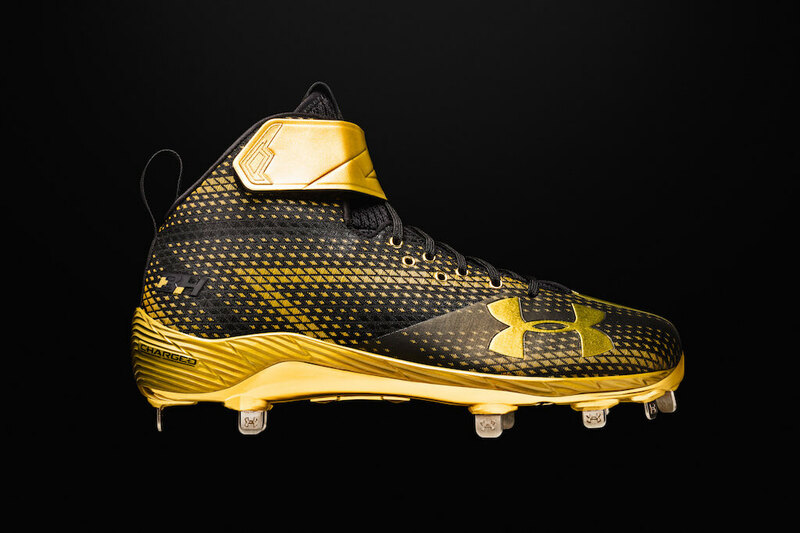 Under Armour brings some of the boldest aesthetics to baseball. From camo to superheros, UA does not hold back. Their designs and material choices create a canvas for custom painters or the company’s designers to create insane mock-ups. Neon highlights the tech involved often in special edition cleats such as the Harper Ones for the Perfect Game America Series. Camo for Memorial Day and on the team colorways for the original Deception. Special Edition cleats, such as those for Mother’s Day or to honor the NYPD reach the public in larger availability than they do from other companies. To go with all these flamboyant looks, team colorways mocked-up to highlight the design of the cleat for the more subtle players. 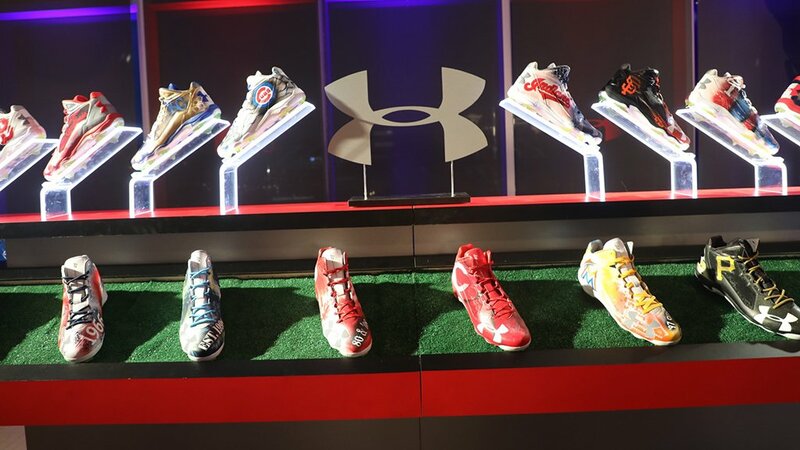 At the 2016 Winter Meetings, MLB team logo adorned cleats stole the show at Under Armour’s big 2020 uniform reveal. In an extremely bold move, Under Armour displayed Deception Mids clad in each team’s colors and logos. My personal favorite is the Royals. These cleats look to be one-of-ones and created for this display only, so I wouldn’t expect any of these to pop up for sale. However it does suggest that Under Armour may be considering team branded footwear, either cleats, trainers, or runners. Under Armour places itself in the marketplace as both the brand for athletes and for fans of baseball. Their cleats often retail at lower price-points than the competitions’ similar models, and typically offer better performance. If you’re in the market for no-nonsense gear or footwear that gets the job done, look no further than Under Armour.